Chesetta's 7 bedrooms are luxuriously appointed, including flat-screen TVs and iPod stations. Superba mattresses are topped with down duvets, a choice of pillows and soft Egyptian cotton sheets. Bathrooms have been laid out for pure indulgence with power showers and extra deep bathtubs inviting you to relax sore muscles with exclusive Miller Harris beauty products. The architecture is modern, yet sumptuous and elegant. Meticulous attention has been paid to every detail. The interior is of the highest quality using ETRO fabrics throughout. Deep, comfortable sofas and local antiques mixed with a collection of contemporary art sit against a backdrop of old wood and granite. Chesetta offers plenty of room to relax or entertain. 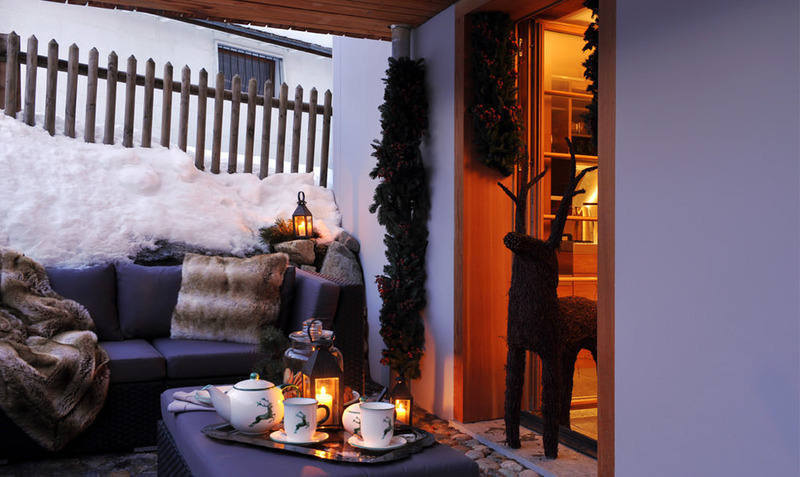 Both living rooms have large wood-burning, open fireplaces and offer stunning views of the Corvatsch mountain. The live-in kitchen seats 10 and the dining room up to 14. With bedrooms spread across separate parts of the house and a choice of rooms to retreat to, the chalet is an ideal retreat for an extended family or group of friends. Our guests can also exercise in a well-equipped gym or relax in the sauna/steam room. For the youngest members of the family there is a fully stocked playroom which also serves as a home cinema.